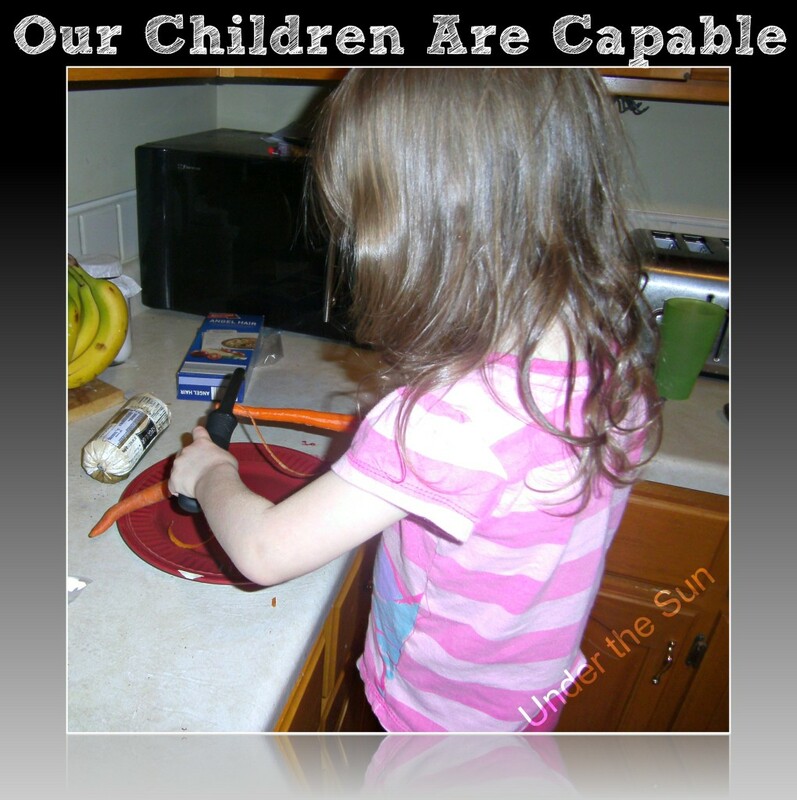 Our children are capable of so much more than we often give them credit for. Teach them, train them, love them, hold them accountable and they will bloom. My Chloe, busy peeling carrots for Spaghetti Pie. This entry was posted in Motherhood and tagged Children, Kids, Motherhood on February 5, 2014 by Sara R.